During the summer, many families spend long days at the beach or the pool to stay cool and have fun. After all, what better way is there to beat the heat and enjoy the summer sun than in the water? These should be stress-free visits where your kids can have fun, exercise, and enjoy the summer. In advance of these trips, as parents, we often worry about applying sunscreen, packing enough snacks and wonder how we’ll contain the sand this time! However, at Picniic, we know that safety is also key. While it may not be the first thing on your mind, it’s a good idea to make sure your kids are informed about water safety before you head to the pool or beach. With these safety tips, you and your children can make sure that your visit to the pool or beach is filled with fun, happy memories. The first thing your child should know is what to do in an emergency. If your child gets lost, hurts themself or sees someone else who is hurt, what do you want them to do? An obvious choice is to yell for help, find a lifeguard or head to the pool’s front desk area. Talk with your child about the various scenarios they may encounter and come up with a plan for each. You may even want to role play a few situations so that your child feels comfortable responding appropriately. Drowning doesn’t always match what we see in the movies. Teach your older children the signs of drowning so that they can help keep an eye on their younger siblings. This doesn’t leave you off the hook, but the more people watching the better. Typically, someone who’s drowning isn’t waving their hands and asking for help. By the time they’re really in danger, they aren’t able to do this anymore. Instead, you’ll see someone whose head is barely floating above the water, mouth open. They may have a glassy look in their eyes and usually won’t be responsive. Someone who’s drowning may attempt to remain afloat, but will no longer be actively or successfully swimming. Usually, they’re in a vertical position in the water. If someone is waving their hands and asking for help, they’re not yet in imminent danger of drowning. It’s actually a lack of movement that signifies real danger. When you arrive at the pool or beach, read any safety signs together. Point out areas where diving is allowed, how to find out the depth of the water and other similar signs that are important for your children to understand. Most of these signs are visual, meaning even small children can understand them. Many pools also have a “no running” rule. Make sure your child is aware of these types of rules before you allow them to get in the water. If you’re headed to the beach, take some time to explain the undertow to your kids. Older children who are confident swimmers should be especially aware of this ocean phenomenon as well as riptides. Make sure that you explain to your child what to do if they get caught in a riptide. Most experts suggest swimming parallel to the shore until you’re free of the riptide. A good rule to have for your kids when heading to the pool or ocean is to notify the adult in charge before they enter the water. This way the adult can be more aware of the child in the water. Another problem that can occur, although not quite as frightening as drowning, is getting lost. Teach your child to notice a few landmarks when you set up your beach towels. You might also point out the colors of your beach umbrella if you have one. Other good landmarks might be a lifeguard station, the front desk, a tree or a food truck. This way, your child can find you more easily. You may also want to put a plan in place for what you’d like your child to do if they do get lost or separated. Some families choose a specific landmark meeting point while others may instruct their children to find another mom to ask for help. You can make a plan unique to your family that will work for you. Also keep in mind that if you have older children with phones, you can use Picniic’s Family Locator to see where your family members are. Your children should know exactly who the lifeguards are and how to approach them. You may even consider introducing yourself to the lifeguard, especially at the beach, to ask for any advice about the water that day and if there’s anything you should know about the beach. This way, your child can feel confident asking a lifeguard for help in any emergency situation that may arise. Your younger children should use a life jacket or flotation device in the water. Make sure your child knows that they can’t go into the water without this device unless you say so. This will help avoid any accidents and ensure that your child is safe at all times. The beach and the pool are great sources of summer fun. With a bit of preparation and these tips, you can make sure that your family will be able to safely enjoy outings to the beach and pool. 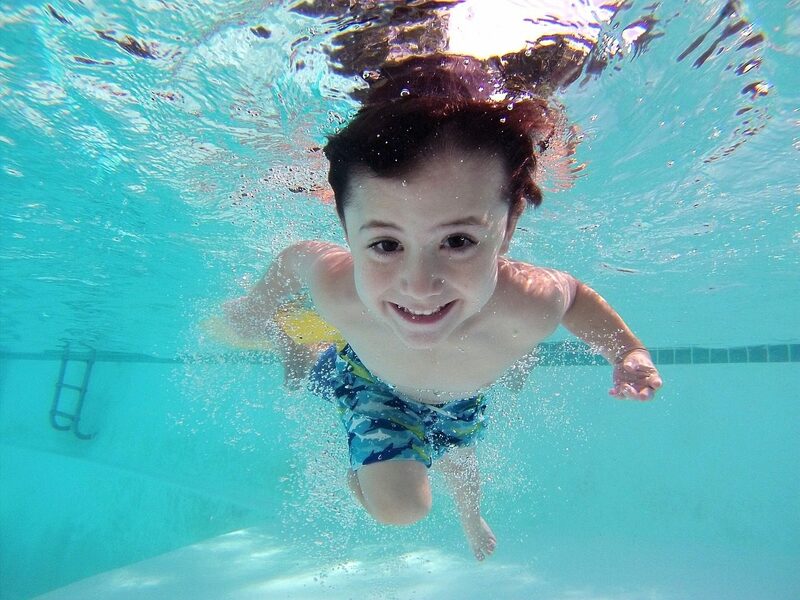 Although it may take a few moments to go through the list, you’ll feel better knowing that your little ones are prepared with these water safety tips.